Filtrex provide start to finish project advisory, design, supply, install and commission of renewable projects. 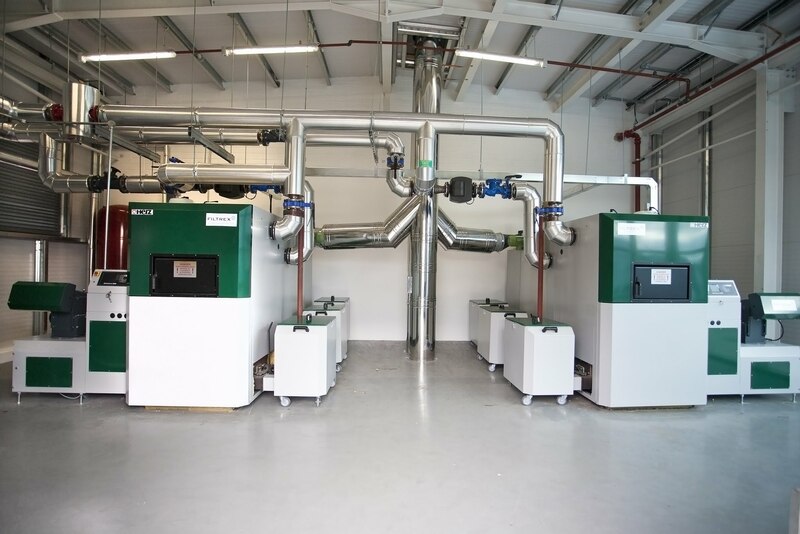 Filtrex offer a one stop shop for your renewable solid fuel needs from inception to final commissioning and provide servicing for future assurance. Briquetting press reduce the volume of solid material while creating a retailable product. Click to find out more! The Minister for Communications, Climate Action and Environment, Denis Naughten TD, is introducing a national Support Scheme for Renewable Heat after securing Government approval. The Scheme is designed to financially support the replacement of fossil fuel heating systems with renewable energy for large heat demand non-domestic users. This covers commercial, industrial, agricultural, district heating, public sector and other non-domestic businesses and sectors (in the non-emissions trading sector). Try this handy calculator to estimate the potential savings you could see when you switch to the Support Scheme for Renewable Heat (SSRH). This support scheme for renewable heat will reward user with a paid tariff for the amount of fuel burned for heat using renewable source fuel. The tariff paid depends on the amount of energy used per annum and the announced tariff has a stepped decreasing scale on increased usage. Currently it doesn't seem to matter what size the boiler is for the tariff like in the UK. The tariff is simply based upon the amount of heat supplied. This will stop installation of boilers that are the wrong size and inappropriate and the correct sized boiler for the heat demand will be used. However, we would think that there will be more prevalence of the smallest possible boiler being installed which may not be appropriate for the system. 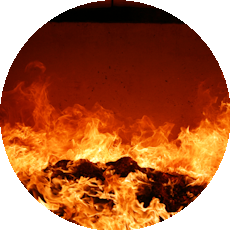 At Filtrex, we offer a full service including heat demand calculation and design loading the appropriate sized boiler. This scheme has been announced for 15 years. The tariff will be paid for that period. It is important to make sure your boiler will last this long and that the maintenance fees won't cancel out potential savings in choosing a cheaper boiler. Filtrex can advise on choice of boiler plus potential maintenance fees as we have many boilers that are several years old with many tens of thousands of hours of usage on the clock. We would estimate the take up will be strong for this scheme. In the UK tariffs have been adjusted down based on the take up of the scheme so don't delay putting in a new biomass boiler. 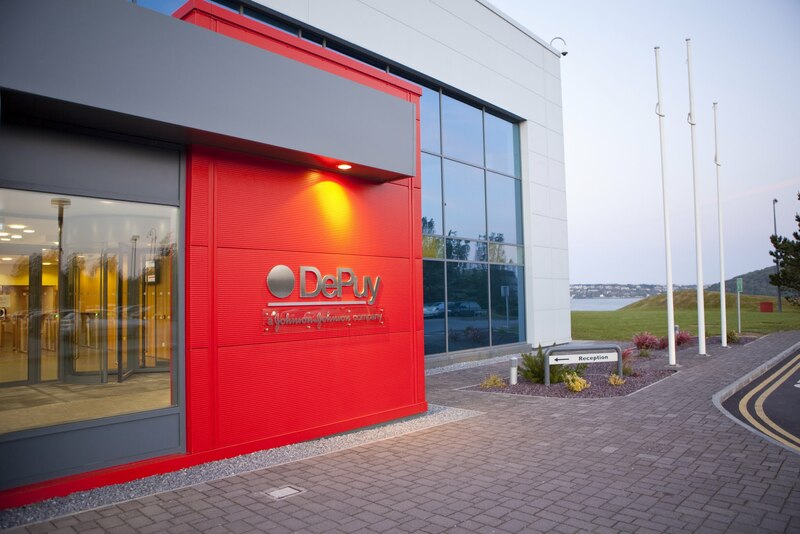 In late 2009 DePuy Ireland, a Johnson & Johnson company contracted John Sisk & Son to erect a biomass energy centre to replace the aging gas fired boilers. This new energy centre is designed provide the manufacturing plant with the required process heat. 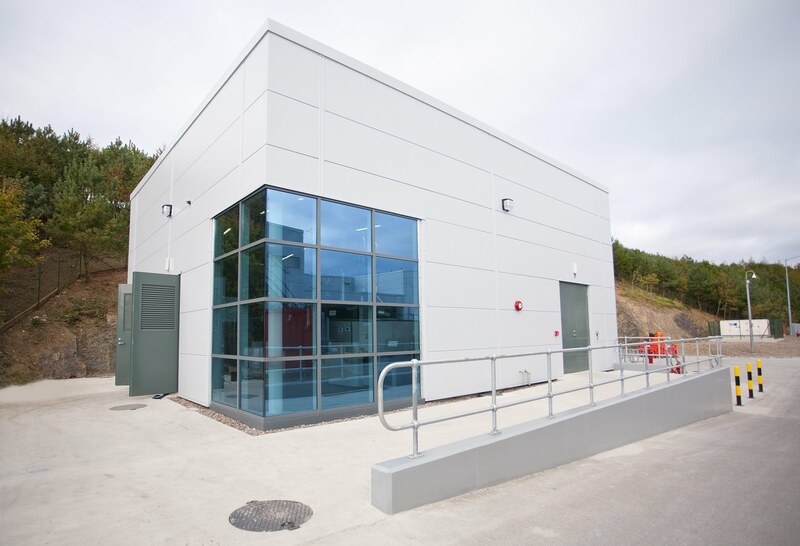 The Sisk procurement process resulted in the appointment of Filtrex as boiler supplier and M&E contractor for the project and a key member of the design team. 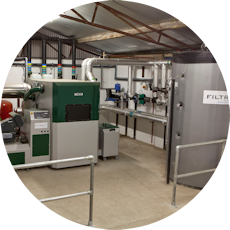 Filtrex were able to meet and exceed the design requirements by using a 2 x Herz Biomatic 500kW woodchip boilers in conjunction with a 7500l fully insulated hot water buffer tank. During the detailed design process it became clear that traditional delivery methods for woodchip would not be possible on this site and Filtrex were given the task of engineering a solution that would meet the clients “Zero Access” policy and unload a 20 tonne 100m³ trailer in less than one hour. Filtrex designed an unloading station using Vecoplan equipment including conveyor metering, chain conveyors and a control station that allows the driver to optimise the offloading. Interlocking panels conceal all moving parts that comply with the clients Health & Safety policy allow the driver to perform the unloading unattended. 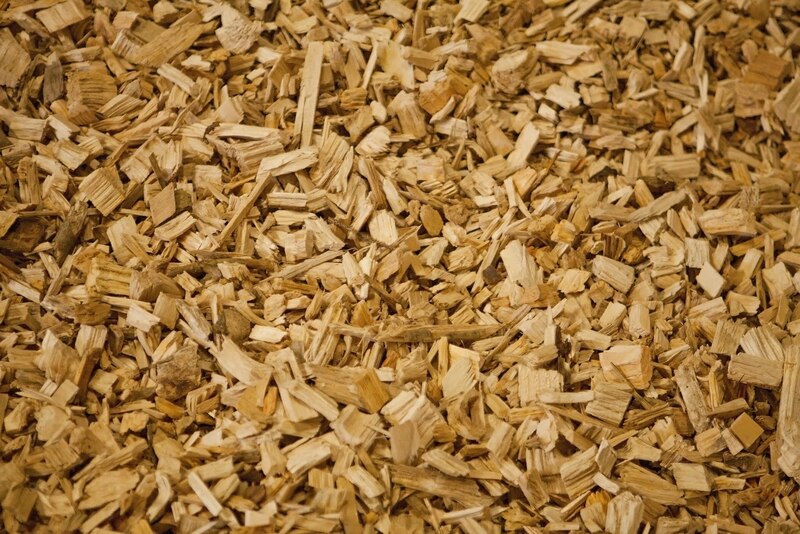 In 2009 Agri-bio approached Filtrex with a problem of straw. Niall of Agri-bio is a tillage farmer who was getting a very low price on baled straw. 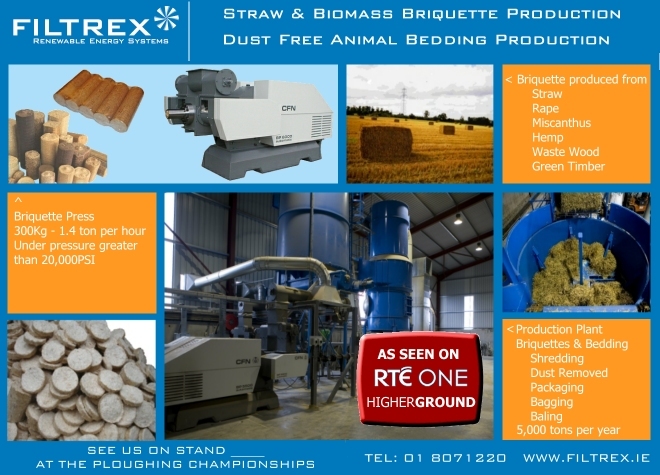 Niall came to Filtrex wanting to increase the value of his straw by turning it into a retail product. 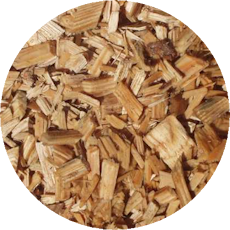 This retail product is Strogs or Straw Logs, which are briquetted straw logs. 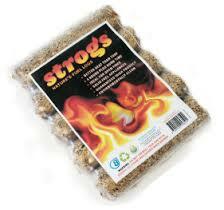 Strogs can be burned in any stove and are a carbon neutral product, perfect for the green-savvy consumer. 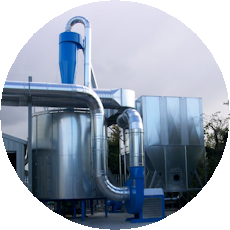 Filtrex have the expertise to develop a system, in conjunction with international suppliers, which would automate a briquetting process.Filtrex carried out feasbility studies on the system to ensure that there was a good business case for the system. Filtrex then set about designing the custom system to the needs of Agri-bio. 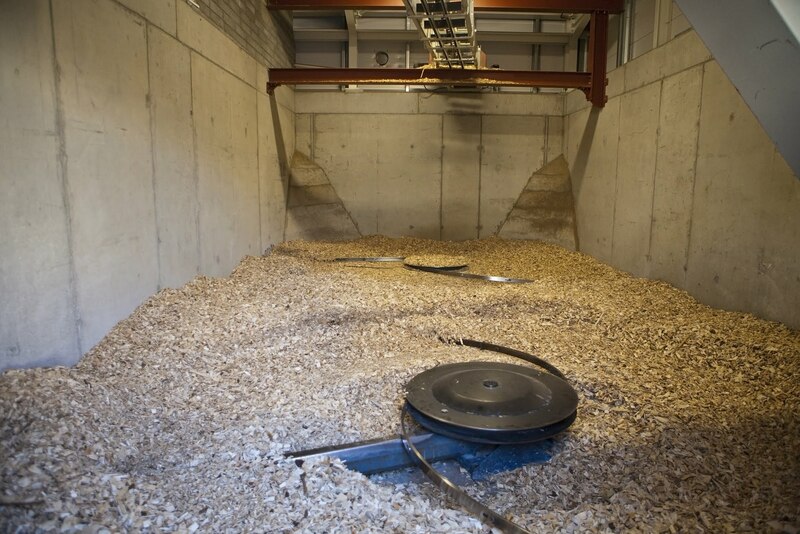 Raw material of baled straw is fed into a hopper/conveyor system and the automated process begins. Hammermill, shredding, silos fans and the briquette press all work automatically to produce a straw briquette which is then cut and packaged into a retail bag complete with label and handle. The entire system is automated to reduce labour costs.